First of all, let's start off by saying that Bachelorettes have always held a special place in my heart. You can't beat singing 90's songs, dancing like fools, and reminiscing on old times with good friends. I've been lucky to talk a few different groups of friends into having our own nights so that each group doesn't have travel. Getting to the wedding is already a substantial trip for most people! Several of my friends live in Seattle, so I decided to go to them for a fun weekend. Jacki made some fun pieces (sweatshirts, bags, glasses) for the weekend that she will post on later! Here's a few favorites from the trip if anyone needs Seattle Bachelorette ideas! Breakfast at Pikes Place, the best is cruising around the shops to find a bakery that smells amazing in the morning before the crowds come. We stumbled into "Le Panier", the chocolate croissants were to die for! Lunch at Din Tai Fung, the Soup Dumplings are killer...I could eat an entire basket by myself, no lie. Ice Cream at Molly Moon's, a Seattle homemade Ice Cream Shoppe that is so cute! Boat Day on the Sound, even the rain couldn't keep us down. Boat Setter was easy to book with but there are several other sites as well in Seattle. Pizza delivered from Ian's Pizza on the Hill for a girls night in watching Spice World. As a Pizzatarian, no Bachelorette is complete without it! Night out in downtown Seattle, we had an excellent dinner at the moody Two Piece is less than $50 here! Jacki found the cutest Etsy gear Bride Captain Hat, Bikini Veil, "Nauti Bride" Sash all linked! 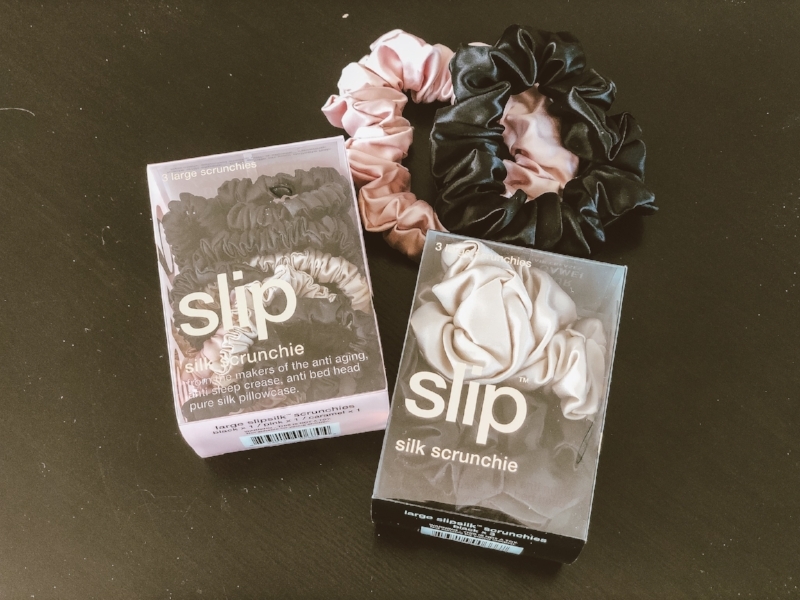 Slip sent over the chicest scrunchies, perfect for putting our hair up after a long day on the boat! Molly Moons, it's a must do if you're an ice cream lover visiting Seattle! We had the best time enjoying the gorgeous August weather in Seattle! Thanks for following, stay tuned as the wedding is only 1 month away...ahhh!